One of Edmonton's most sought after addresses - VALLEYVIEW CRESCENT! Pie-shaped 10,897sq ft lot, west facing back yard & loads of sq ft to work with. This exclusive area of Valleyview is home to million dollar plus estate homes, beautiful mature trees & steps to the River Valley w/walking trails & spectacular view points. The existing home has tons of potential for an upgrade or even build a dream home on this massive lot. This large split-level offers generous rm sizes thru-out & a very popular layout w/living rm, dining rm, sunken family rm, breakfast nook, kitchen, office (potential 5th bdrm), laundry rm w/sink & powder rm on the main flrs. The upper level is home to a sprawling master suite w/built-in storage & 3pc ensuite. 2 more bdrms & a full bath complete this level. The bsmt includes a 4th bdrm & huge rec rm w/crawl space for extra storage. Many aspects of the home are original, but in fantastic condition! 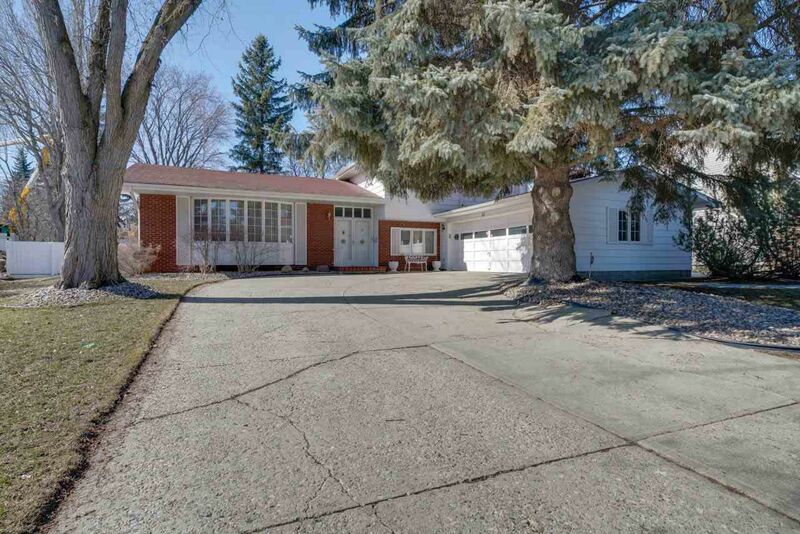 Located close to excellent schools & only a short jaunt to Downtown, Whitemud & Henday.